Jennifer Carpenter plays Debra Morgan on the the TV series Dexter, and I think she's the best character on television right now. She is what characters, and probably female characters especially, are so seldom able to be on TV: individual. Bravo to the writers who give the role its due, but brava too to Jennifer Carpenter who fully, fully brings this character to life in all her coolness and sharp energy. 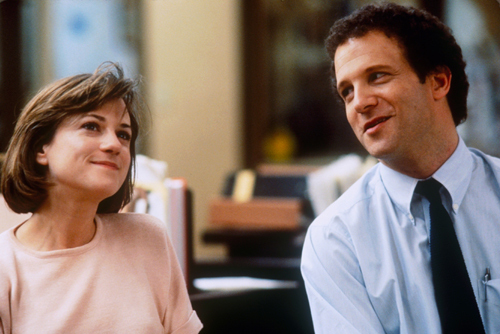 Her performance on Dexter reminds me of the first really great realistic performance I remember seeing: Holly Hunter in Broadcast News. Hunter showed the same range of emotion and specificity of personality, and the very real possibility that you could dislike her character—when she wasn't a villain or temptress but a normal character—spoke volumes.